Stacey Erickson has a love for real estate! Stacey has been in the business for 20 plus years. She has worked with investors, handled short sale and foreclosure transactions, and has also worked in the title industry for the last 8 years. 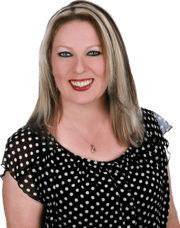 She has a vast amount of experience that she would love to share with you that can help you with your real estate transaction. Stacey has a strong code of ethic and believes communication is paramount when working with clients. She loves negotiating contracts to make sure her client is getting the best deal possible, while looking out for their best interests. When she is not helping her clients find the perfect home, you can find her playing in pool tournaments, playing softball, or playing poker. She also loves spending time with her family and friends and watching live music. If you are looking for someone with plenty of experience to help you navigate your way through your next real estate transaction, give Stacey a call. She is a valuable resource and is ready to help you.